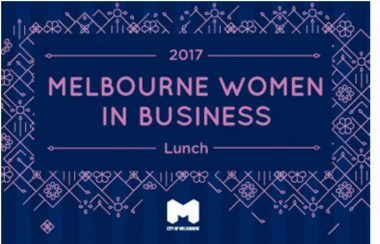 Engaging Women is thrilled to be involved in this year’s City of Melbourne ‘Women in Business’ networking event. Melbourne’s magnificent Town Hall will host hundreds of guests who will receive insights from a panel of diversity champions. There’ll be drinks on arrival and a stunning performance by Emma Gilmartin. We guarantee you’ll leave with fresh ideas to take into your world and influence change. WHEN: August 24th at Melbourne Town Hall. The theme is Champions of Change: Strength and Value from Diversity. Engaging Women founder Martine Harte is facilitating therefore it won’t be a run of the mill panel event. One for all you entrepreneurs. Described by Sir Richard Branson as a “game-changer and force to be reckoned with”, disruptor and startup guru Caitlin Illes joins our Champions of Change panel. She is an experienced venture capitalist, angel investor, advisor and serial entrepreneur. As a venture capitalist, she has helped raise close to $100m and establish Australia’s largest portfolio of early stage start-ups. Cait’s entrepreneurial DNA, combined with her concern about the ongoing lack of women in senior leadership positions (especially the technology sector), has driven her to establish Xchange, an EduTech business that will provide female entrepreneurs (existing and aspiring) with the education, experience, support and investment capital to produce successful, globally scalable businesses. We’ll be sure to ask her about Necker Island! Ben is a diversity champion and member of the Male Champions of Change program. Before joining the public sector Ben held senior roles with Boston Consulting Group’s London and Melbourne offices. Previously Ben was Associate Secretary in the Australian Government’s Department of Human Services and before that was Deputy Secretary for the Department of the Prime Minister and Cabinet, and the Victorian Department of Premier and Cabinet. Jacinta has been driving the gender equality discussion with top ASX 200 companies for decades. Previously Jacinta held an executive career, over three decades, with top ASX 200 companies. She was National Manager of the high profile Telstra Business Women’s and Business Awards for five years and at NAB held the position of Project Director, Women and Money. Jacinta is a Director of WIRE and Melbourne Marketing Authority. Jacinta’s is passionate about changing the game for business and women. She’s even given a TEDx talk: ‘Can you afford to ignore the female economy?’. Craig is also a Male Champion of Change, passionate about shifting mindsets around gender equality and diversity, both on the tennis court and in the workplace. Craig’s enthusiasm, business acumen and value system of teamwork, loyalty, excellence and humility has leveraged him to the forefront of sports administration and the leader behind Australia’s largest and most successful international sporting event. Under his leadership, the Australian Open has transformed into the players’ favourite Grand Slam and Australia’s favourite sporting event, delivering more than $300m in direct economic benefit to Australia and reaching a global audience of more than 350 million. Director at advocacy platform, Engaging Women and founder of the award-winning ‘Ambassadors for Good’ program. Martine is a dedicated women’s advocate, who was awarded a prestigious Melbourne Press Club Gold Quill Award for excellence, a Logie award nomination and is judging this year’s Telstra Business Woman of the Year awards. Martine’s Engaging Women project is collected by the National Library of Australia due to its cultural value. Cost: $160 per ticket or $1600 per table of ten. Now in it’s fifteenth year the event is held to celebrate our city’s high achievers, great business minds, up and coming entrepreneurs and the important role women play in Melbourne’s dynamic business community. It also provides a platform for like-minded individuals to network in a relaxed and welcoming environment. Email womeninbusiness@melbourne.vic.gov.au or call 03 9658 9658. Ten dollars from every ticket sold will be donated to the 2017 official charity partner, Fight MND.